Regiment/Catrawd: Royal Army Medical Corps. 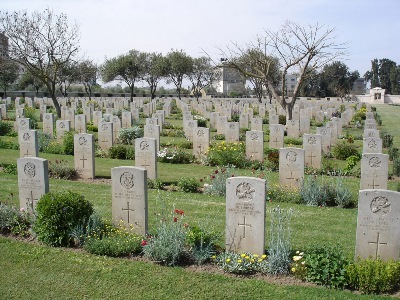 Military Cemetery/Memorial / Fynwent milwrol: Gaza War Cemetery. Ref No Grave or Memorial / Rhif cyfeirnod bedd: Plot: V11. Row: G. Grave:10. Country of Cemetery or Memorial / Gwlad y fynwent neu gofeb: Palestine. Medals Awarded / Medalau a ddyfarnwyd: 1914 Star, British War Medal, Victory Medal. Killed in action aged 34, whilst treating wounded soldiers under fire on the Battlefield. Morrice Greer was born in West Derby, Liverpool during 1882. Very little is known of his parents other than his father was Arthur Greer of Ballasalla House, Isle of Man. Morrice was educated at Liverpool University and took the diplomas of Membership of the Royal College of Surgeons (M.R.C.S.) and Licentiate of the Royal College of Physicians (L.R.C.P. London ( in 1907. After filling the posts of House-Surgeon at Leeds Public Dispensary, of Assistant Surgeon of Liverpool Dispensary and of Senior House-Surgeon of the Liverpool Stanley Hospital, he went into practice at Corris, Merionethshire, where he was Medical Officer and Public Vaccinator of the Talyllin District of Dolgelly Union, certifying factory surgeon and medical officer of the Post Office. During the year 1913 he married Gladwys Elizabeth Williams of Rhyl, Flintshire. No record can be found of them living together in Rhyl. On 21 July 1913, Morrice joined the 7th (Montgomery and Merionethshire) Territorial Battalion of the Royal Welsh Fusiliers as Medical Officer with the rank of Lieutenant, but was soon promoted to Captain. On Wednesday 15 March 1916 he arrived in the Balkans with the Battalion. On Saturday 16 June 1917 he was killed in action whilst treating wounded soldiers under fire on the Battlefield. The National Probate Calendar for 1917, which was administered on 27 July 1917 in London, stated that Morrice Greer on his death had left the sum of £923.0s.0d to his wife Gwladys Elizabeth Greer. On 27 August 1917, a payment of £203.10s.8d was made by the War Office to Gwladys Elizabrth Greer, being monies owed to her husband Morrice. On 8 March 1919, a further payment which is recorded as a War Gratuity of £26.4s.5d was also made to her. Morrice is remembered on a Remembrance Plaque at the Royal Alexandra Hospital, Marine Road, Rhyl, Flintshire. On the Manxman’s Roll of Honour, Douglas, Isle of Man and in the 1914-1918 Golden RAMC Book of Remembrance. He is also remembered on The North Wales Heroes Memorial Arch, Deiniol Road, Bangor, North Wales.